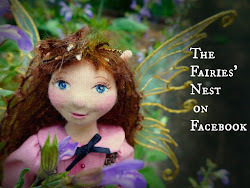 The Fairies Nest - OOAK Cloth Dolls & Fiber Fantasies: Shake, Rattle. and Roll! I love a good thunderstorm. The kind where the wind blows the rain sideways, the lightening lights up the sky in crisp, white, electric zig zags and the thunder booms so loud that it shakes the house. 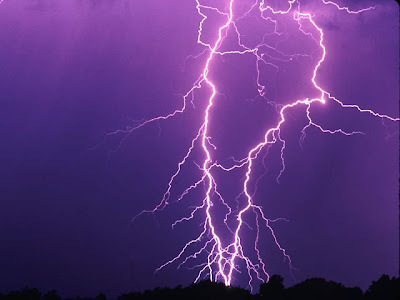 After a month of absolutely not a drop of rain, this week we've had intense nightly thunderstorms and I have to admit I think they're wonderful....even when they wake me out of sound sleep! Besides enjoying the show, I think of my garden getting a good soaking and how that will turn into all kinds of lovely flowers and yummy things to eat...what's not to love? Speaking of lovely things to eat, this fellow wandered into my head recently demanding to be made...these Looking Glass Rats are very demanding! Let me introduce you to Bander and Brillig. Not only are they obvious fashionistas, but they (he?) are also connoisseurs of gourmet foods, fine wines, and evenings at the opera. These fellows can quell or inspire with just a glance and are often to be found backstage at the best fashion shows. 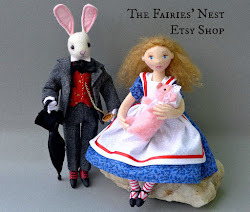 Appearing now in my shop! I love a good thunderstorm too. There is something absolutely inviting about it. The rain makes me feel happy. 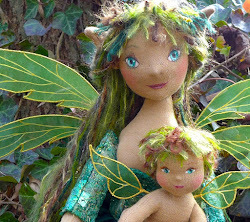 Love your latest creation. Bander & Brillig are fabulous! Your description of them brings a smile to my face. Happy Wednesday! Thanks so much for your sweet visit!